It is nothing unusual for soldiers at war to try to put the best face on their predicament when writing to friends and family back home. Some years back I read the letters my eldest brother wrote from Vietnam to our parents. If you believe those letters, my brother, who was in the combat engineers, did nothing except build schools and hospitals and airstrips. He made it sound like he was in the Peace Corps inoculating cows and small children. I know better. The closest I can remember him coming to writing about the risks to which he was exposed day and night was when he told a story about setting off a dummy booby trap during training. "Boom, I'm dead," he wrote. "Well, I won't make that mistake again." I found something similar in C.S. Lewis, who remarked to his father that "only once [had he been] in a situation of unusual danger, owing to a shell falling near the latrines while I was using them" (letter of 4 January 1918). A little earlier in the same letter he told his father that, given "the number of shells that went singing over our heads to fall on the batteries far away behind," he was actually safer in the infantry than in the artillery, into which his father was trying to get him transferred, believing it to be safer. So "if mentioning danger, always make a joke of it," would seem to be one rule my brother shared with Lewis. You will be anxious to hear my first impressions of trench life. This is a very quiet part of the line and the dugouts are very much more comfortable than one imagines at home. They are very deep, you go down to them by a shaft of about 20 steps: they have wire bunks where a man can sleep quite snugly, and brasiers for warmth and cooking. Indeed, the chief discomfort is that they tend to get too hot, while of course the bad air makes one rather headachy. I had quite a pleasant time, and was only once in a situation of unusual danger, owing to a shell falling near the latrines while I was using them. This may be the best piece of persuasive prose of Lewis' young life. Beginning with a sly concession of the anxiety his father must feel, he piles up phrase after phrase to emphasize how "quiet," "comfortable," "deep," "snug," warm and full of food "trench life" is. Then he underlines the comforts by suggesting that they are excessive. It can be a bit hot, and the lack of ventilation gives him a headache. Nevertheless he declares it all "quite a pleasant time," and concludes with a joke about artillery and latrines. What a cunning and endearing attempt to allay his father's fears. His sang-froid isn't quite so icy, however, in the next letter we have. Writing to his friend, Arthur Greeves, a month later, he says he is "safely ensconced in a bed in hospital, miles away from the line, thank the gods" (2 February 1918). Nor were his fellow soldiers quite the intellectual company he might have wished for ("godless Philistines"), and the charms of the trenches appear not so great as he told his father: "You are lucky you know; it must be grand to look forward to an endless prospect of regular night's sleep & comfortable chairs & good meals & books & everything decent & civilized." A week later (9 February) he writes explaining to his father that his illness is nothing to worry about: "In spite of its alarming name, Pyrexia is not much more serious than influenza" -- a chilling remark in hindsight -- and being ill was "not a bad thing, as it has kept me out of the line and in a good bed for a season." Again he chooses the right tack, aiming to defuse his father's concerns about his illness by using them against his greater fear. "Shall we ever be the same again'"[?] Oh, how far we have travelled, you and I. To think of the things we've done: do you remember that day we walked up the glen in the rain, & everything was soaking? Or the evening up in Tiglath's field at dusk -- the only real evening walk we ever had? Or the days of scheming over Loki when I first showed you any work of mine, and you used to play over bits from the unborn opera? And the night we first broached the 'nameless secrets of Aphrodite' and walked up and down that bit of road in the dark? And now -- well, umph. However, we may have good times yet, although I have been at war and I love someone. What a desperate sense of loss, far beyond the "you are lucky you know" of his previous letter to Arthur. That was about comfort, even if more serious things lurked in its depths. This is about loss and fear. Those more serious things have broken through his composure for a moment, even if he regains it by the paragraph's end, and then steers the conversation back to books for the rest of the letter. By the time he next writes to his father (16 February) and Arthur Greeves (21 February) he is all books and assurance once more. 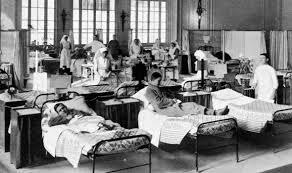 Now doubtless Lewis had seen more things in his time in the trenches than he lets on, but he had also been quite ill, far from home, and in a hospital which was full of his wounded and dying fellow soldiers. Into this moment intruded a letter from another time, a time in which this war was not yet his, when shells did not go singing overhead day and night, when he had no need of the dark comedy of nearly being blown up in the latrine, when he had not even arrived at Oxford yet and seen the lives that other men had left behind when they left for the war. If this letter, written to another Jack in another time, had allowed his fears to emerge momentarily, would anyone be surprised? "Shall we ever be the same again" appears to be a quote from chapter eleven of an 1864 novel by Amelia Ann Blanford Edwards, called Barbara's History. Why Does the Roaring of the Sea Disquiet the Valar? 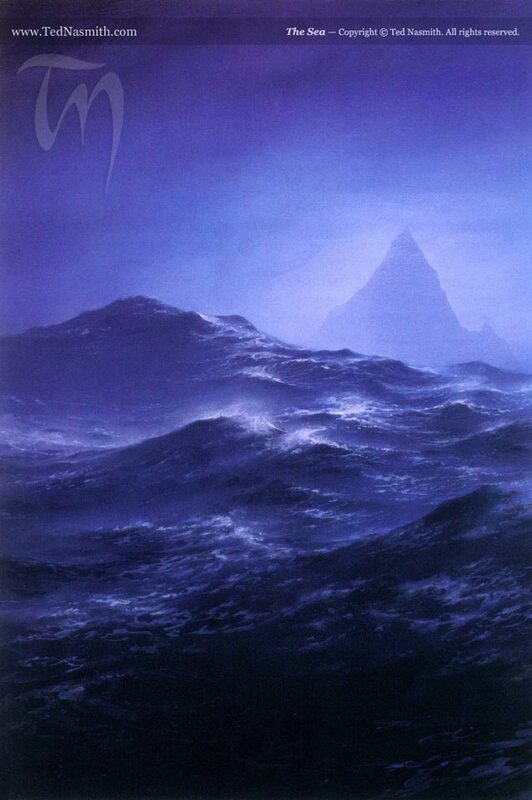 The Sea -- Copyright © Ted Nasmith. All rights reserved. In joy hast thou lived. Beware of the Sea! Then he heard a noise in the distance. At first he thought it was a great wind coming over the leaves of the forest. Then he knew that it was not leaves, but the sound of the Sea far-off; a sound he had never heard in waking life, though it had often troubled his dreams. Suddenly he found he was out in the open. There were no trees after all. He was on a dark heath, and there was a strange salt smell in the air. Looking up he saw before him a tall white tower, standing alone on a high ridge. A great desire came over him to climb the tower and see the Sea. He started to struggle up the ridge towards the tower: but suddenly a light came in the sky, and there was a noise of thunder. We can trace this troublous longing, this Sehnsucht, all the way back to the beginning of Tolkien's works, to the longing of Eriol and Ælfwine for the Sea and to the earliest version of The Music of the Ainur in The Book of Lost Tales. It is particularly prominent in Tuor from his beginning in The Fall of Gondolin and the bones of The Tale of Eärendel within The Book of Lost Tales, through the earliest versions of The Quenta Silmarillion and Annals of Beleriand, to Of Tuor and his Coming to Gondolin in Unfinished Tales, and in the end to The Grey Annals, to The Tale of Years, and to the published Silmarillion.1 And while the term 'The Unquiet of Ulmo' seems coined almost especially for him, it would apply equally well to Aldarion in The Tale of Aldarion and Erendis (UT 175-76, 178, 185). There is even the hint that it may have affected Hobbits, including one and perhaps two Took uncles of Bilbo (FR Pr. 7; RK App. C 1103 [Isengar and Hildifons]; The Hobbit 11, 13-14). Sea, and yet know not for what they listen. What's most curious here is the reaction of the Ainur to the sound of the Sea, which causes them 'a great unquiet.' We are used to thinking of Elves and Men, the Children of Ilúvatar, as beset by such disquiet and longing, but not the Valar themselves. Since the Valar have not yet entered Arda, which so far exists only in thought (20), the sea's effect extends beyond 'the circles of the world' and suggests that all sentient beings, whether of flesh or of spirit, are within its reach. That this is so even in a vision attests the power of what they have seen, or, to be more precise, what they have heard, because that is clearly the avenue through which the unquiet and longing come to them. But why? What is it about the 'voices of the Sea' that is so poignant? '[T]hat in water there lives yet the echo of the Music of the Ainur' is not a sufficient answer in itself, since it does not explain why the Valar find this reminder of their own music disquieting. Two clues may help us here. The first is that Elves and Men do not recognize what they hear, but presumably the Valar do. The second is that Ulmo -- 'of all [the Valar] most deeply was he instructed by Ilúvatar in music' (19) -- has a conversation with Ilúvatar even as the music was being envisioned before them, in which Ilúvatar demonstrates to him that the worst efforts of Melkor have but made water and the world more beautiful than Ulmo had imagined in his music. This harks back to Ilúvatar's statement to Melkor that 'no theme may be played that hath not its uttermost source in me, nor can any alter the music in my despite. For he that attempteth this shall but prove mine instrument in devising things more wonderful, which he himself hath not imagined' (17). What would the echo of God's voice evoke if not longing? 1 Eriol and Ælfwine (BoLT 1.46; 2.6, 314); The Music of the Ainur (BoLT 1.56); Tuor (BoLT 2.151-52, 156, 196, 254); The Quenta Silmarillion and The Annals of Beleriand (HoME IV.37, 142-43, 145, 149, 151-52, 214, 308); Of Tuor and his Coming to Gondolin (UT 24-25, 34); The Grey Annals and The Tale of Years (HoME XI.90-91, 348, 352); Of Tuor and the Fall of Gondolin (The Silmarillion 238, 244-45; cf. 246). Thus it came to pass that of the Ainur some abode still with Ilúvatar beyond the confines of the World; but others, and among them many of the greatest and most fair, took the leave of Ilúvatar and descended into it. But this condition Ilúvatar made, or it is the necessity of their love, that their power should thenceforward be contained and bounded in the World, to be within it for ever, until it is complete, so that they are its life and it is theirs. And therefore they are named the Valar, the Powers of the World. C. S. Lewis first came to Oxford in the spring of 1917. So many students were absent, abroad on the battlefields of France, that the town and its colleges seemed empty. Lewis himself had entered the University Officers' Training Corps and would spend much of the year preparing to serve in France. Last night, at about nine o'clock I wandered out into the deserted quad. & after 'strolling' for some time went up a staircase where nobody ever goes in these days into the oldest part of the College. 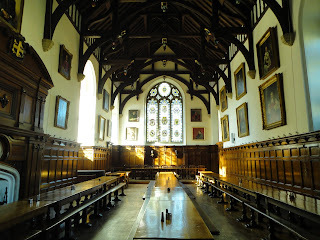 The windows here are all tiny & ivy covered & stained so that it was very dark already. I walked up & down long passages with locked rooms on each side, revelling in 'desolation'. The 'oaks' of these rooms were mostly (as I say) locked, but by good luck I found one open & went in. On the inner door the faded name 'Mr Carter' greeted me: inside was a tiny room, smaller than my own at home, very dark & thick with dust. It seemed almost sacrilege to turn on the light in such a forsaken place, but I simply had to inspect it. The furniture was all just as the owner must have left it & his photos were there on the wall. I also inspected his books (mostly ordinary Everymen) including 'Lavengro', 'Tristram Shandy', [Edmund] Burke's Speeches & 'Tom Jones'. I suppose this sounds trivial to you; but perhaps you can picture the strange poetry of the thing in such a time & place. I wonder who Carter is, and if he has been killed yet, & why he left his pile of music so untidily on the dressing table? 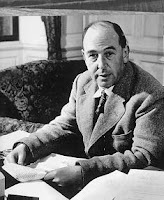 The respect, the poignant reverence, with which Lewis examines this scene, seeing poetry and near sacrilege, and wondering in a single breath whether the war had killed Carter 'yet' -- as if it were inevitable -- and about the mess of papers he had left behind him -- as if he were in a rush to leave -- all of this can only make me wonder how much of himself Lewis saw in this room. How much of his own onrushing future in the trenches loomed in this isolated room, dark and thick with dust, with a faded name on the door, and the pieces of a life left behind? 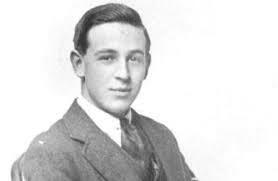 and not this other fellow in the next photograph, this very young man soon to go off to war when all he really wants to do is read and learn, this very young man whom we don't see when our minds conjure up the image of C. S. Lewis. This young man has never met Tolkien, is somewhere between atheist and agnostic, and in his letters talks about girls and music as well as the books he loved and devoured. The man who wrote the letter above was not merely describing a scene and evoking a mood. He was writing something that lay in his own future. And after several hundred pages of his letters it becomes easier to sense the fear that lies behind his words as his own time in the trenches draws nearer. What books did he leave behind on his desk, what papers? Was his door locked behind him when he went? Or did he perhaps leave it open for the next very young man to find? Did he ever learn what happened to Carter? Carter lived, by the way. Is That An Allusion To Ulmo and Tuor in "The Great River" (FR 2.ix.380-81)? ... they let the River bear them on at its own pace, having no desire to hasten towards the perils that lay beyond, whichever course they took in the end. Aragorn let them drift with the stream as they wished, husbanding their strength against weariness to come. But he insisted that at least they should start early each day and journey on far into the evening; for he felt in his heart that time was pressing, and he feared that the Dark Lord had not been idle while they lingered in Lorien. ‘There was more than one power at work, Frodo. The Ring was trying to get back to its master. It had slipped from Isildur’s hand and betrayed him; then when a chance came it caught poor Déagol, and he was murdered; and after that Gollum, and it had devoured him. It could make no further use of him: he was too small and mean; and as long as it stayed with him he would never leave his deep pool again. So now, when its master was awake once more and sending out his dark thought from Mirkwood, it abandoned Gollum. Only to be picked up by the most unlikely person imaginable: Bilbo from the Shire! One could well regard Frodo's lack of knowledge and clarity here as typical, at least for the hobbits, by whom and from whose viewpoint the Tale is told. When, for example, Gildor invokes Elbereth's protection for Frodo, his instant response is hardly one of faith and understanding, and not at all unlike his reply to Gandalf: 'But where shall I find courage?... That is what I chiefly need' (FR 1.iii.84). Another example of this comes in Henneth Annûn. Faramir and the other Dunedain of Gondor turn to the West for a moment of silence before they eat, as they 'look towards Númenor that was, and beyond that to Elvenhome that is, and to that which is beyond Elvenhome and will ever be' (TT 4.v.676), but this custom is unknown to the hobbits, who are left 'feeling strangely rustic and untutored' (TT 4.v.676). Here again the Valar are alluded to quite vaguely, not even named, not even in a periphrasis of the kind Elrond had used when he said that 'they who dwell beyond the Sea would not take' the Ring (FR 2.ii.266). Here reference is buried in an allusion to a nameless land, remote and eternal. Indeed the word Valar appears only three times in The Lord of the Rings. In Ithilien a soldier of Gondor calls upon them for protection from the Mûmak (TT 4.iv.661). At Aragorn's coronation Gandalf wishes that the days of the King may 'be blessed for as long as the thrones of the Valar endure' (RK 6.v.968).3 And finally in a moment that is as shining and evocative as it is mysterious, the narrator likens Théoden to 'Oromë the Great in the battle of the Valar when the world was young' (RK 5.v.838). '...The Ring! What shall we do with the Ring, the least of rings, the trifle that Sauron fancies? That is the doom that we must deem. We needn't labor this point. It is long established and well understood, and obvious to every attentive reader. What is not so obvious is what looks like an allusion to the Vala Ulmo, the Lord of Waters -- of lakes, streams, and rivers as well as seas -- and to Tuor, an important forefather of Aragorn, an allusion so subtly made and so quickly passed by that I've only just caught it after over four decades of reading The Lord of the Rings. Though I had at times wondered about Aragorn's comment about the swans when I encountered it, I had never given it any further thought in all the years I had known it. Elsewhere in Tolkien, in works ranging across his entire career of work on the legendarium -- in The Book of Lost Tales, in Of Tuor and his Coming to Gondolin, and in The Silmarillion -- Ulmo is the Vala who most openly involves himself in the affairs of Elves and Men in their war against Morgoth.5 And not just then, it would appear: '[n]or has he ever forsaken Middle-earth, and whatsoever may have since befallen of ruin or of change has not ceased to take thought for it, and will not until the end of days' (Silmarillion, 40). So not only did Tolkien continue to cherish the links between Ulmo and Tuor and the swans as important elements in his tales, but he asserts that Ulmo's concern for Middle-earth never ended; and the intertextuality between The Lord of the Rings and the versions of Tuor's tale quoted below harmonizes nicely with Ulmo's ongoing devotion to the affairs of Middle-earth. Let's turn to those other works for a moment. One morning while casting his eye along the shore -- and it was then the latest days of summer -- Tuor saw three swans flying high and strong from the northward. Now these birds he had not before seen in these regions, and he took them for a sign, and said: "Long has my heart been set on a journey far from here; lo! now at length I will follow these swans." Behold, the swans dropped into the water of his cove and there swimming thrice about rose again and winged slowly south along the coast, and Tuor bearing his harp and spear followed them. And, maybe, from afar birds saw the fell winter that was to come; for those that were want to go south gathered early to depart, and others that used to dwell in the North came from their homes to Nevrast. And one day, as Tuor sat upon the shore, he heard the rush and whine of great wings, and he looked up and saw seven white swans flying in a swift wedge southward. But as they came above him they wheeled and flew suddenly down, and alighted with a great plash and churning of water. Now Tuor loved swans, which he knew on the grey pools of Mithrim; and the swan moreover had been the token of Annael and his foster-folk. He rose therefore to greet the birds, and called to them, marvelling to behold that they were greater and prouder than any of their kind that he had seen before; but they beat their wings and uttered harsh cries, as if they were wroth with him and would drive him from the shore. Then with a great noise they rose again from the water and flew above his head, so that the rush of their wings blew upon him as a whistling wind; and wheeling in a wide circle they ascended into the high air and went away south. Then Tuor cried aloud: 'Here now comes another sign that I have tarried too long!' And straightaway he climbed to the cliff-top, and there beheld the swans still wheeling on high; but when he turned southward and set out to follow them, they flew swiftly away. And Tuor came into Nevrast, and looking upon Belegaer the Great Sea he was enamoured of it, and the sound of it and the longing for it were ever in his heart and ear, and an unquiet was on him that took him at last into the depths of the realms of Ulmo. Then he dwelt in Nevrast alone, and the summer of that year passed, and the doom of Nargothrond drew near; but when the autumn came he saw seven great swans flying south, and he knew them for a sign that he had tarried overlong, and he followed their flight along the shores of the sea. Thus he came at length to the deserted halls of Vinyamar beneath Mount Taras, and he entered in, and found there the shield and hauberk, and the sword and helm, that Turgon had left there by the command of Ulmo long before; and he arrayed himself in those arms, and went down to the shore. But there came a great storm out of the west, and out of that storm Ulmo the Lord of Waters arose in majesty and spoke to Tuor as he stood beside the sea. And Ulmo bade him depart from that place and seek out the hidden kingdom of Gondolin; and he gave Tuor a great cloak, to mantle him in shadow from the eyes of his enemies. While the presence of the swans alone clinches the allusion, I think, there's more here to link these passages than that. The swans in The Lord of the Rings seem to be flying south, just as Tuor's were. For the members of the fellowship detect them only when they hear the whirring of their wings, which suggests that the swans came up from behind them. In both cases they are also of a remarkable size, large even for swans. And like his distant ancestor Tuor, Aragorn has an errand to a white city that is nearly the last bastion of defense against the evil of its age, and the names of their destinations echo each other by sound and etymology: Gondor and Gondolin. Moreover, one of the names of Gondolin in The Book of Lost Tales is Gwarestrin, which means Tower of the Guard, just like Minas Tirith (BoLT 2.158). Both Tuor and Aragorn feel that they have tarried on their errand. But why black swans? It seems too trite to think that Tolkien is here playing with the belief popular from antiquity to the 18th century that black swans did not exist -- the very source of the phrase rara avis -- or with the superstition that associated black animals with evil. Aragorn does not react to them as he did to the spying crows in Hollin (FR 2.iii.284-86). If anything, he seems surprised and pleased by the sight of them. Clearly he regards their color as noteworthy, neither common, which would call for less comment, nor unheard of, which would call for more. But what makes it noteworthy? In Tolkien swans are most commonly identified or associated with ships, and in a lengthy scene, almost the last before this one, Galadriel comes in a swanship to bid farewell to the company, who have already embarked in their boats. They turned a sharp bend in the river, and there, sailing proudly down the stream toward them, they saw a swan of great size. The water rippled on either side of the white breast beneath its curving neck. Its beak shone like burnished gold, and its eyes glinted like jet set in yellow stones; its huge white wings were half lifted. A music came down the river as it drew nearer; and suddenly they perceived that it was a ship, wrought and carved with elven-skill in the likeness of a bird. The mist cleared and he saw a sight which he had never seen before but knew at once: the Sea. Darkness fell. The sea rose and raged in a great storm. Then he saw against the Sun, sinking blood-red into a wrack of clouds, the black outline of a tall ship with torn sails riding up out of the West. Then a wide river flowing through a populous city. Then a white fortress with seven towers. And then again a ship with black sails, but now it was morning again, and the water rippled with light, and a banner bearing the emblem of a white tree shone in the sun. A smoke as of fire and battle arose, and again the sun went down in a burning red that faded into a grey mist; and into the mist a small ship passed away, twinkling with lights. The first black ship here is that of Elendil, whose heir Aragorn is, and who is also a descendant of Tuor. Like Tuor, Elendil escaped from the destruction of his homeland to found a new hope. The second is the ship captured from the Corsairs of Umbar in which Aragorn arrives at the Battle of the Pelennor Fields, just in time to turn the tide of battle and save Minas Tirith. For this allusion to have weight for us, we need to know all this. That is not so for Aragorn, however. 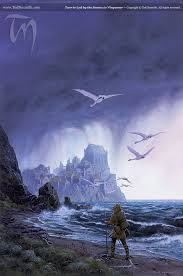 Nothing suggests that he knew of Frodo's vision, but he did not need such knowledge to recall the story of Tuor and Ulmo and the swans here, and therefore to see in them an omen for himself. How much more he might have seen here is debatable. He was familiar with the Corsairs of Umbar and the danger they posed to Gondor from the time of his service there decades earlier (RK App. A 1055), and black sails appear to have been an identifying characteristic of their ships (RK 5.vi.846-47; vii.853). Both Galadriel and Elrond subsequently direct his attention that way, as if reminding him of something he already knows (TT 3.v.503; RK 5.ii.775, 781); and once he takes control of the palantír of Orthanc he sees the threat from the Corsairs and their black-sailed ships (RK 5.ii.780-81). Of the allusion alone can we be sure. As for the rest we can only speculate. Yet I would not find it surprising if Tolkien, whose attention to detail in such matters is a constant revelation, left such an interpretation of this omen there to be found, just as he left the allusion to the tale of Tuor and Ulmo and the swans hanging by a single clue, Aragorn's remark upon their color. 1 I am attending here to only those mentions of the Valar and Eru contained in The Lord of the Rings proper, not the appendices, which within the conceit of authorship are represented in the Prologue as later additions (FR 14-16). Elbereth invoked: FR 1.xi.195, xii.198, 214; sung to: FR 1.iii.79; 2.i.238, TT 4.x.729 (perhaps also an invocation), RK 6.ix.1028; sung of FR 2.i.236, viii.377-78; password: RK 6.i.912-13. At FR 1.xii.198 Aragorn states that Frodo's invocation of Elbereth on Weathertop (1.xi.195-96) had some effect on the Witch-king, but when Frodo does it again at the Ford of Bruinen it appears to have none at all (1.xii.214). The resolution of this seeming contradiction probably lies in the greater desperation of the Nazgûl to retake the Ring before it reaches the comparative safety of Rivendell. This harmonizes with Aragorn's earlier description of their methods: they will not attack openly themselves, 'not until they are desperate, not while all the long leagues of Eriador lie before us' (FR 1.x.174). On this showing Strider's 'leagues' could be those between Bree and Rivendell. 2 I do not suggest here any connection between Elbereth and the Virgin Mary, except perhaps in the degree of reverence the Elves show her. The example means to indicate that the ability to identify someone as belonging to a certain group because of a reference that person makes does not entail any greater familiarity with that person's beliefs. 3 It is interesting to note that the word Valar is used in Gondor and by the people of Gondor. This contrasts with Elrond's avoidance of the word. Without more evidence it is difficult to say much, but this may reflect a difference in human and elven attitudes towards the Valar. 5 The Silmarillion, 26-27, 40, 103, 114-15, 125-26, 155, 158, 196, 209, 212, 238-41, 243-44, 247, 249. A few months back I began a project I had long wished to undertake. 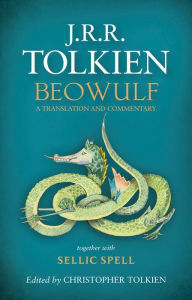 Ever since I was a lad and first read The Lord of the Rings, I had wanted to read Beowulf in Old English. At NYU I even began to learn Old English from Jess Bessinger, a wonderful, friendly teacher who made every class fun. I was, however, already taking five four credit courses that I needed for my majors that semester, and Old English, which I was only auditing, just had to go. For me it was a remarkably responsible decision, since I was an arrogant young fool who thought I knew more and better than everyone, and who, consequently, usually did exactly as I pleased. Now all of that insolence served me about as well as you might imagine, but that's another tale. It took life nearly a decade to beat me into a state of reasonableness, and convince me of the error of false pride. To learn that all pride was false took another couple of decades. And school's not out yet. I was left with many regrets, and every one of them was doubtless of greater moment in the balance of my soul than failing to read Beowulf in Old English. Still, as time went on and all of the dust of a misspent youth slowly settled, the wish to read it in the original remained. I knew from reading Homer and Vergil how much translations can differ, with one capturing one aspect of the text and another a different one, but none of them catching all of it. Then, a little over a year ago, the publication of Tolkien's translation and commentary breathed on the deeply banked coals of my desire, and the course I took at Mythgard with Professor Tom Shippey (another wonderful, friendly teacher of Old English), quickened them back into flame. So I found some resources online, like the Bosworth-Toller Anglo-Saxon Dictionary, and Old English Aerobics. I bought Clark Hall's dictionary and added a couple of useful apps to my tablet. In Peter Baker's Introduction to Old English I found a recent grammar that pleased my archaic philological soul and did not attempt to sneak the syntax, conjugations, and declensions in when I wasn't looking, as modern grammars often try to do. Finally I added a copy of Klaeber's Beowulf, and a large, unlined Moleskine so I could copy out the text in my finest scrawl, write in vocabulary, and add notes. Now I wasn't starting entirely from scratch. The decades I had spent studying other inflected languages, like Latin, Greek, and German, left me familiar with the way the morphology and syntax of such languages worked. So almost every night since March I have sat down with Klaeber and worked my way through some of the poem. I puzzle out the forms and grammar and tease out the meaning, entering notes as I go into my handmade interleaved edition. Once I'm done with my lines for the night, I read Klaeber's notes, then Tolkien's translation and commentary. If necessary, as it usually is, I revisit my notes to make changes, references, corrections. Mostly I do all this in silence, though sometimes I have a ballgame on low in the background, or Bach, or the incomparable Julie Fowlis. There were nights earlier in the spring when the only sounds I could hear were the scritch of my pen on paper and the singing of the frogs outside. I cover a dozen or a dozen and a half lines in a sitting, more lately as my Old English gets better and I begin to understand the words even as I write them out. 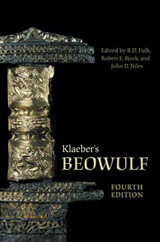 And as I improve and read more, my admiration for Klaeber's Beowulf and Tolkien's continues to grow. The pleasure I have been granted from this has been so sweet. As strange as this may seem to someone whose tastes differ, for me every moment I've spent with it has been beautiful, a time in my day I greatly look forward to. If you think you are reaching out to touch the mind of another when you read a book, that is even more true when their thoughts are expressed in another language which you have to translate into your own. I love every minute of it. Even now, a piece of me begrudges the time I am taking to write this. Consequently I was looking forward to having some time off a couple of weeks back, thinking that I would devote hours every day to Beowulf. I could read hundreds of lines and make 'real progress' in the poem, perhaps even finish the first half. That was the plan. Push on. Read more. Get better. But when my vacation came, I didn't do that. I found I didn't want to. I read Beowulf at the same pace I'd been reading it before. It didn't take me long to realize why. What sitting there reading in the quiet night after night had brought back to me were the endless hours I spent reading when I was in graduate school, night and day season after season long ago. Back then I would sit up all night reading, say, Greek Tragedy, taking notes, writing down vocabulary, flipping back and forth through my Liddell Scott Jones Greek-English Lexicon -- which probably weighs 20 pounds and, if the name Liddell rings a bell, it should. Swathed in cigarette smoke, with a bottomless cup of coffee beside the ashtray, and my books open in a pool of lamplight before me, I would read forever, becoming lost in whatever it was, in the thoughts and lives of those people long ago who were so little different from me. I was in no hurry then. I read and studied because I loved to, because I wanted to. My PhD was more a consequence of this passion than its object. The reading days and nights were timeless, as childhood summers were timeless, with no purpose except to be what they were. It was utterly unselfconscious. Therein lay all my joy, in a time of my life that was otherwise nightmarish, a world of sorrow that is well lost and not mourned overmuch by me, or anyone else who was its victim. But the reading was all. Later it all changed, as degree in hand I went forth to make a living, and very glad I was to make enough money to be able to afford more than five for a dollar Prince Macaroni and Cheese. But with the degree, the career, and the job came the pressure to publish in order to survive, which transmuted reading from an end to a means. I still read and still loved it, but a clock had begun ticking somewhere beyond the pool of light in which my books lay. Despite being fairly successful at publishing, the career never worked out the way I wanted it to. I had traded something wonderful for nothing in the end. But one of my first and happiest thoughts when I decided to walk away from that world was that now I could read what I wanted when I wanted to do so. And so -- gæð a wyrd swa hio sceal -- we come back to Beowulf years later, and the timeless summer of joy it has given back to me. I am in no hurry now. Reading it will take as long as it takes.